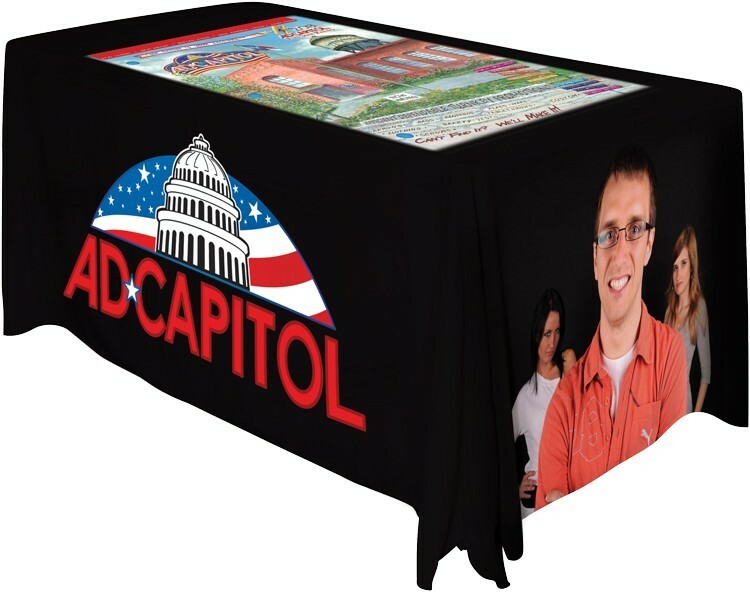 The Draped 4 feet Table Throw offers an ideal way to promote your company at the next tradeshow you attend. This beautifully stitched table throw is made with 100% polyester and fits table sizes of 4 feet x 30 inches. For your convenience the item comes in a wide variety of colors for you to choose from. Thanks to the different varieties of color printing options you are free to add on a personal message or your company logo. Standard Imprint Area: 108" x 88". All imprints with print reading parallel to and centered on the long side are 108" x 88" maximum, and are also centered 15" from the bottom edge.